There are many different kinds of brain skills and the ones most useful to you may be different from the ones most useful to a doctor, for instance. One team of researchers has found a special kind of learning that could be key for developing new training programmes that help people like doctors. You probably do not give much thought to your vision and how your brain responds as you take in the world around you. It is thought that this area rewires itself when a person is trained to perceive a pattern. What it means is that this type of neural learning is separate from conscious visual processing. If you think about what happens when you first see something, you probably consider there is quite a time lapse before you actually learn something. In this study, what has been discovered is that learning is occurring in the very early stages of visual processing that occurs in your brain. What is the Visual System? This system is important to help us process visual details. We make sense of information from light to give us a perception of the world around us. We identify visual objects and also move in relation to what is around us. Participants in the study had to identify a barely visible pattern of bars on a computer screen. This pattern was set to continue decreasing in visibility to become more faint over time. After thirty days of this exercise, researchers found that participants could recognise fainter patterns each time they did the exercise. The participants also had their brain activity measured with an EEG, which is used to measure electrical activity that occurs from the firing of neurons inside a person’s brain. This electrical activity was measured both before and after the exercise to learn exactly how the perception of the patterns showed changes in the participants’ brain activity. The results showed that learning significantly improved the EEG signal strength. When a participant saw one of the patterns, the EEG responded to show greater strength from the learning. Even where less than a second had passed since the pattern was flashed on the computer screen, participants showed improved responses in their brain. 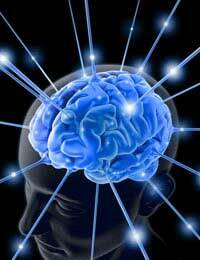 This type of brain plasticity that was seen operates independently of higher order processing. It would not normally be expected that we could see it in the earlier part of the EEG response. As mentioned, the research paves the way for training programmes that could help people who have to rapidly detect patterns that may be quite subtle. This could be a doctor or a dental technologist who has to read an x-ray scan. It may also be an air traffic controller who has to monitor radars. Other people who may benefit would be adults suffering from certain visual problems. The hope is that this study could lead to a procedure that enhances the capabilities of the eye. Ultimately, we have a better understanding now of how learning in the visual brain occurs and may soon be able to apply this understanding to new training programmes.